/ What Does Salmon Taste Like? What Does Salmon Taste Like? Have you ever eaten salmon? What does salmon taste like? If you do not know the answer to these questions, then you are most likely missing a lot. This type of fish is served in different cooking styles. But, one thing is certain; this fish definitely offers an explosion of exceptional flavors in your mouth. ​What Does Salmon Taste Like? Salmon is a saltwater fish. This type of fish can be found in abundance in Alaska, Pacific Northwest, and California. This type of fish is quite unique compared to the other fish species, as you will often see this fish swimming in the tidal mouth of a river, where the tide meets the stream. The fish goes into fresh water as it reproduces. Also, salmon is one of the most versatile fishes as you can cook it in different ways. If you do not like fishy tastes, the good thing is that you will probably like salmon. Many people often describe salmon tastes as quite different from the regular fishy taste. In fact, the taste of salmon is just like a mildly flavored meat that came straight out of the sea. Salmon often has a subtle and refreshing taste. However, its taste will depend on the recipe used to cook the fish. There are different varieties of salmon and each type has its own distinctive taste. For instance, the Chinook salmon or might king has a pure flavor and lots of fat. This type of salmon can weigh over a hundred pounds and is commonly found in California and Alaska. Another type of salmon is the Coho salmon. 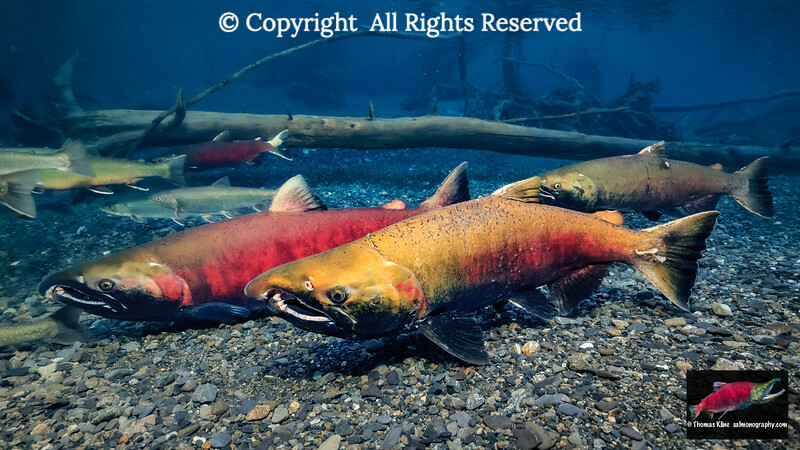 This type of salmon is also known as the silver salmon and is commonly found in areas from Oregon to Alaska. This salmon has a rich gamy flavor and a firm textured meat. This type of salmon is best for simple food preparations like poaching. The Pink salmon or the Humpback salmon, on the other hand, is considered one of the smallest salmon varieties and can weigh only about five pounds. This type of salmon is very abundant and has a subtle flavor. 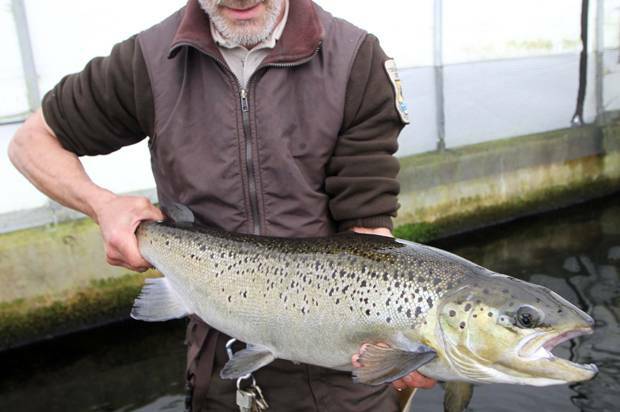 Another type of salmon is the leaper salmon or the Atlantic salmon. This type of salmon is commonly found in North Atlantic. It is known for its fatty and full flavor taste. The Red or Sockeye salmon is another type of salmon commonly found in British Columbia and Alaska. This type is one of the fattiest types and has a distinct red-orange color. This variety of salmon is dense and offers a full-flavored taste. 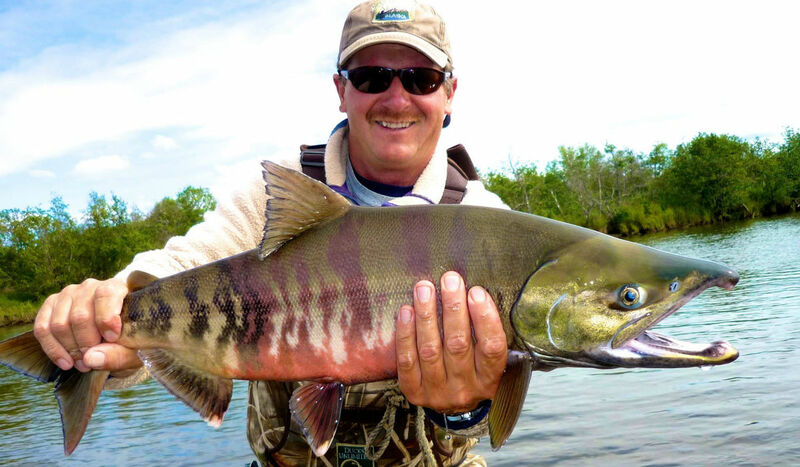 Lastly, the Chum salmon or the Keta salmon is commonly found in the Pacific Northwest regions. This type of salmon is relatively neutral tasting. It is important to note that the taste of this fish can actually vary. When it comes to fish preparation, pre-packaged salmon tastes differently than fresh ones. The taste will differ depending on how the fish is prepared and the preservatives added during the preparation process. When it comes to fresh salmon, the taste will differ depending on the specific type of fish that you have. The tastes can range from subtle to mild. Also, the taste will depend on the preparation and cooking style done. As mentioned, the taste of salmon will not only depend on the salmon variety but also on how it was prepared and cooked. Whether the fish is smoked, grilled, poached or fried, the cooking style will always affect its flavor. For instance, Chinook salmon is best grilled as it would give you a result of crispy skin and firm meat. In preparing Chinook salmon for grilling, you can simply dab the fish with pepper or use your favorite barbecue sauce. Depending on the herbs and spices you incorporated into your grilled salmon, it would give you a mild taste. On the other hand, Coho salmon is best poached. This cooking style will enhance its gamy flavor. When cooking salmon, regardless of variety, it is always best to limit the use of spices and other ingredients. This way, the true flavor of the fish will come out. You can simply use herbs to prepare the fish and use different types of sauces to complement the fresh and subtle flavor of this type of fish. 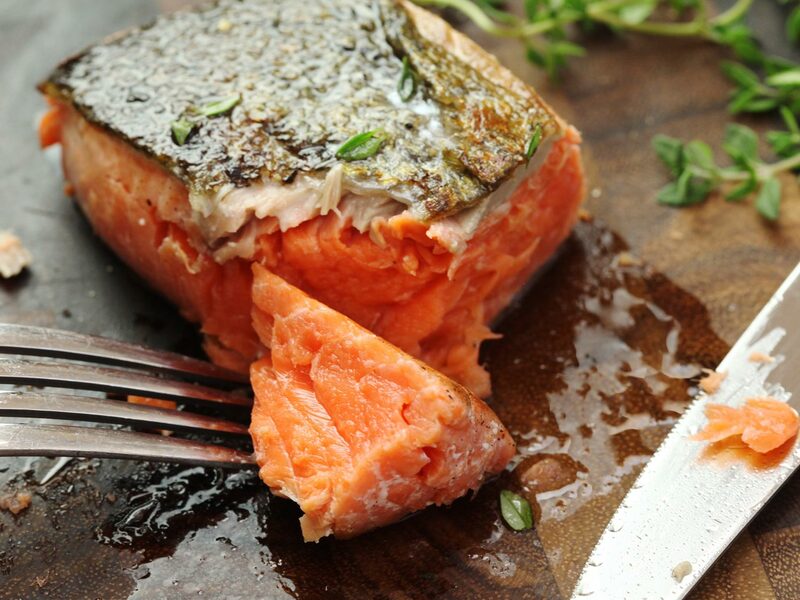 Other ways to cook salmon include broiling, roasting, searing, and frying. Aside from actually being able to enjoy the unique flavor of salmon, there are other benefits that you can get out of eating this type of fish. Omega-3 Fatty Acids for a Healthy Heart: Salmon contains high amounts of Omega-3 fatty acids, which is great for your heart health. This fatty acid can reduce inflammation and prevent heart diseases. Improves Mental Health: Studies show that eating salmon can improve mental health, specifically improve mood, enhance mental clarity, and prevent depression. Also, eating salmon is associated with the prevention of cognitive deterioration caused by aging. High Vitamin D Content: Salmon also contains high amounts of Vitamin D, which can help prevent numerous diseases like diabetes, cancer, and arthritis. Salmon definitely is a unique type of fish that offers different flavors depending on the variety. Also, it is important to note that the food preparation and cooking style used will affect the taste of the fish. Regardless of these factors, salmon offers a subtle and fresh flavor. In addition, eating salmon does not only provide you with great flavors but also several health benefits including improving heart health, mental clarity, and prevention of various diseases. How Long To Boil Hot Dogs? How To Cook Them To Perfection! I'm Dona. I'm now a mother of 2 boys. I'm a housewife and I spend most of my time on cooking. I often interact with different cooking websites to earn experience as well as share my knowledge about cooking with the others. Besides, I am the founder and editor of donaskitchen.com an avenue for sharing about juicing, plant-based diet and living a healthier lifestyle. Hi, I'm Dona. Cooking is the way I express my creative side to the world. I’m always cooking something. Welcome to my Kitchen Corner on the Internet! The Best Outdoor Wok Burner Out There: Cook Outdoors Like a Pro! The 5 Best Edible Printers You Can Buy: How to Hype Up Your Baking Culinary Game with Printed Out Edible Decorations! The Best Kitchen Degreasers: Keep Your Kitchen Clean without Breaking a Sweat! Donaskichen.com is a participant in the Amazon Services LLC Associates Program, an affiliate advertising program designed to provide a means for sites to earn advertising fees by advertising and linking to Amazon.com. Additionally, Donaskitchen.com participates in various other affiliate programs, and we sometimes get a commission through purchases made through our links. Copyright text 2019 by Dona's Kitchen. All Rights Reserved.